Hear What Business Leaders, Best-Selling Authors And Industry Leaders Say About Scott Keffer Then See His Real World Results With Advisors Below. When we met Scott, we were doing a little under a million dollars of revenue. We recently broke $2,500,000 in firm revenue. And, I went from working 70-hours a week, to spending 45% of the year out of the office! Not only is Scott brilliant, he is a man of integrity. With Scott’s system and coaching, we grew our firm revenue to over $1,000,000 in just my 5th year in the business. Scott Keffer has likely had more impact on financial professionals than any other coach in the U.S. I highly recommend him. With Scott Keffer’s coaching and programs, we went from a little under a million dollars to over $1,500,000 in revenue with one half the clients. For every dollar I’ve invested in Scott’s programs, I’ve consistently received $23 back! When I began coaching with Scott, we were already a 7-figure business. Through Scott’s coaching and programs, we tripled our revenue, adding an additional $3,000,000. He has helped us with our marketing and prospecting, our team productivity and relationships, as well as growing my credibility. Our advisors love Scott and we love him too. In my first year working with Scott, my revenue was the highest of my entire career! For example, implementing ONE of Scott’s recommended strategies resulted in 43 scheduled appointments with potential clients. Attending Boot Camp was one of the greatest business decisions of my career. I have worked with Scott as a coach for a number of years, I can tell you that Scott’s marketing, sales, business and people insights continue to be of help to me. I highly recommend Scott without hesitation. Working with Scott, my revenue grew to over $2,000,000 per year. Through Scott’s coaching and programs, I doubled my revenue. Scott’s Boot Camp gave me templates to create 3 specific client niches and target my marketing and positioning. I’ve known Scott for over 20 years. His information is timely and he provides great takeaways for his attendees. The second day at the Scott’s Boot Camp was the switch that changed my entire career. Using the concepts he showed, I was able to get an article in the Wall Street Journal. In my 50 years in the business, Scott’s Boot Camp gave me the most actionable content of any meeting I’ve ever been to. Scott even helped me get my practice sold. As a million-dollar producer, I thought I had a pretty good formula. Scott has the exact language and analogies that attract the right people to work with me. I humbly submit to Scott’s techniques as being far superior to my own. Scott’s Boot Camp blew me away. He gives me exactly what I need to attract the right kind of clients to my firm. His material is so different and the best I’ve seen in 40 years. Words matter and Scott’s word usage and ‘phraseology’ is excellent in dealing with the affluent marketplace. Scott gave us the process to leverage the Internet to bring in more ideal prospects at a very low cost per lead. We can take Scott’s processes and implement them immediately into our business. This will have a radical impact on my income. Initially I thought, money’s tight. Everybody’s saying to cut back. But I thought, how do I reverse the trend in my business? One idea from Scott was worth the entire investment. Before the Boot Camp, I was struggling and frustrated. Scott gave me a very specific practice roadmap to identify my Target Niches and the exact language to attract and get prospects to action. 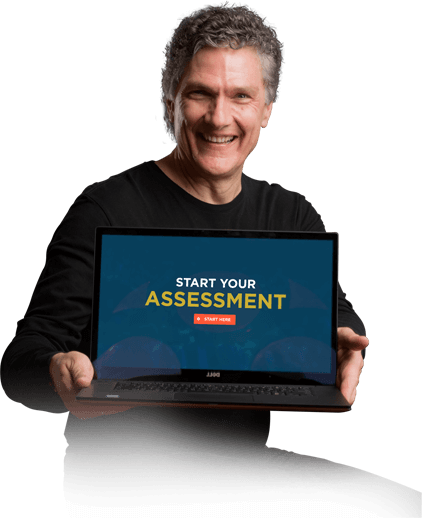 Scott’s Boot Camp gave me a tremendous amount of immediately actionable templates that will positively impact my practice revenue. Scott Keffer is one of the premier speakers and coaches in the financial industry. Scott Keffer’s Boot Camp is the very best place for financial professionals in the world today. Scott Keffer is one of the leading coaches in North America. Scott shows financial advisors how to 2x, 4x, and even 10x their business and I can tell you, he’s the real deal. Scott Keffer blew me away. If you’d like to know more about how to take your financial advisory business to the next level and create the level of success you want, I want you to work with Scott. He is amazing. I recommend Scott. He delivers great content that will help you in big ways to grow your business and attract bigger and better clients. I interview many of the nation’s top entrepreneurs to figure out what it takes to be highly successful. Scott has helped me get incredible and powerful results I would not have accomplished without his coaching. I recommend Scott and his coaching without reservation. As a Broadway performer in the lead role of Christine Daae in The Phantom Of The Opera for ten years, coaches played a key role in strengthening my ability to perform at the top of my game night after night. Scott Keffer has a unique ability as a coach. His insights and direction produce fast, powerful, enduring results in your business and life. I highly recommend Scott and his coaching. You should spend time with Scott. He will teach you the principles of greater success as a wealth manager, as well as greater success in life. “Top 100 Leadership Coach” to leaders across the globe, I know what it takes to be a world-class coach. Scott has helped me tremendously and I highly recommend Scott and his coaching. Scott is a resource to financial and estate planning advisors, allowing other advisors to transform themselves. He is an amazing entrepreneur.